A comic writer should of all others be the least excused for deviating from nature, since it may not be always so easy for a serious poet to meet with the great and the admirable; but life every where furnishes an accurate observer with the ridiculous. 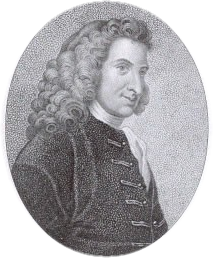 Henry Fielding (April 22, 1707 – October 8, 1754) was an English novelist and dramatist known for his rich earthy humor and satirical prowess and as the author of the novel Tom Jones. Oons, sir! do you say that I am drunk? I say, sir, that I am as sober as a judge. A crime, which, though perhaps not considered by law as the highest, is in truth and in fact, the blackest sin, which can contaminate the hands, or pollute the soul of man. And old England's roast beef! Much may be said on both sides. And a-hunting we will go. Depend on me; never fear your enemies. I'll warrant we make more noise than they. He in a few minutes ravished this fair creature, or at least would have ravished her, if she had not, by a timely compliance, prevented him. A lover, when he is admitted to cards, ought to be solemnly silent, and observe the motions of his mistress. He must laugh when she laughs, sigh when she sighs. In short, he should be the shadow of her mind. A lady, in the presence of her lover, should never want a looking-glass; as a beau, in the presence of his looking-glass, never wants a mistress. Love and scandal are the best sweeteneers of tea. Let other hours be set apart for business. I've done my duty, and I've done no more. Thy modesty's a candle to thy merit. Sir, money, money, the most charming of all things; money, which will say more in one moment than the most elegant lover can in years. Perhaps you will say a man is not young; I answer he is rich. He is not genteel, handsome, witty, brave, good-humoured, but he is rich, rich, rich, rich, rich — that one word contradicts everything you can say against him. I am content; that is a blessing greater than riches; and he to whom that is given need ask no more. They are the affectation of affectation. I have found it; I have discovered the cause of all the misfortunes which befell him. A public school, Joseph, was the cause of all the calamaties which he afterwards suffered. Public schools are the nurseries of all vice and immorality. Abraham Adams, speaking of his host, Wilson. The same animal which hath the honour to have some part of his flesh eaten at the table of a duke, may perhaps be degraded in another part,and some of his limbs gibbeted, as it were, in the vilest stall in town. ...the excellence of the mental entertainment consists less in the subject than in the author's skill in well dressing it up. Reader, I think proper, before we proceed any farther together, to acquaint thee that I intend to digress, through this whole history, as often as I see occasion, of which I am myself a better judge than any pitiful critic..."
...for nothing can be more reasonable, than that slaves and flatterers should exact the same taxes on all below them, which they themselves pay to all above them. Can any man have a higher notion of the rule of right and the eternal fitness of things? In reality, the world have payed too great a compliment to critics, and have imagined them men of much greater profundity than they really are. His designs were strictly honorable, as the phrase is; that is, to rob a lady of her fortune by way of marriage. To speak a bold truth, I am, after much mature deliberation, inclined to suspect that the public voice hath, in all ages, done much injustice to Fortune, and hath convicted her of many facts in which she had not the least concern. Life may as properly be called an art as any other. It hath been often said, that it is not death, but dying which is terrible. These are called the pious frauds of friendship. When widows exclaim loudly against second marriages, I would always lay a wager that the man, if not the wedding day, is absolutely fixed on. A good face, they say, is a letter of recommendation. O Nature, Nature, why art thou so dishonest, as ever to send men with these false recommendations into the World? There is not in the universe a more ridiculous, nor more contemptible animal, than a proud clergyman. There is no dull chapter. But he makes the hero too good. He seems to think that so long as Tom goes for a little miscellaneous fornication he will be saved from priggishness. I doubt if this is so, especially at the end, where Tom's angelicalness upon the misfortunes of Blifil is really a bit thick.